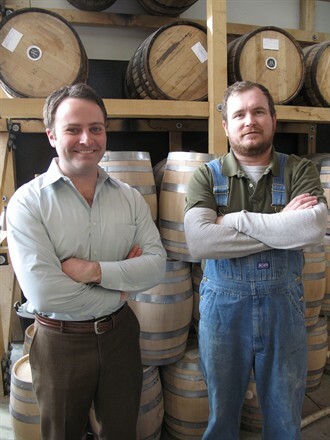 Brian and Thomas at the distillery. Photo courtesy of Amy Zavatto. Amy Zavatto, one of the writers for Frommer’s Community Blog, Between Bites, recently wrote a piece titled, “Sipping Whiskey in the Finger Lakes“. On assignment for a wine job, she stumbled upon Finger Lakes Distilling on her way out of town. She got a tour and did a tasting and reports that her favorites were the Seneca Drums Gin, the Cherry Liqueur and the McKenzie Rye.